Caption slip reads: "Photographer: Mitchell. Date: 1952-06-06. Reporter: Emerson. Assignment: Retires after 37 1/2 yrs. 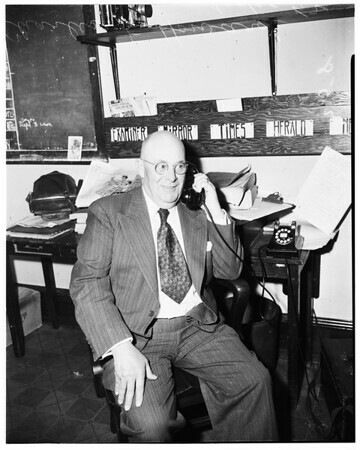 with the telephone co. 57/58: Charles E. Howard. Sunday or Monday".